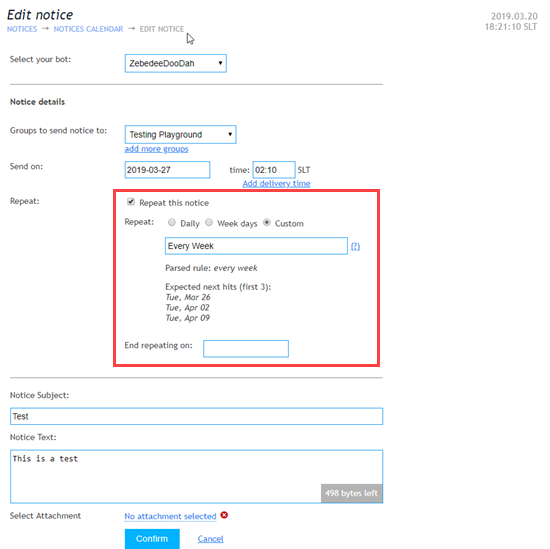 Advanced Notices now allows custom scheduling! 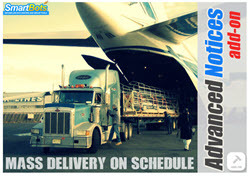 Advanced Notices add-on is designed to enhance your business by sending important notices and announcements using a calendar-based interface. Recently we conducted a survey asking for feedback regarding the Advanced Notices add-on, as always our users were kind enough to provide very useful feedback. Thank you! 3. You will notice the Custom option that you can click. This option will allow you to enter your own schedule, which our system will recognize, parse it with our scheduling and give you the confirmation.